Upward Cheerleading - Life. Love. Reality. 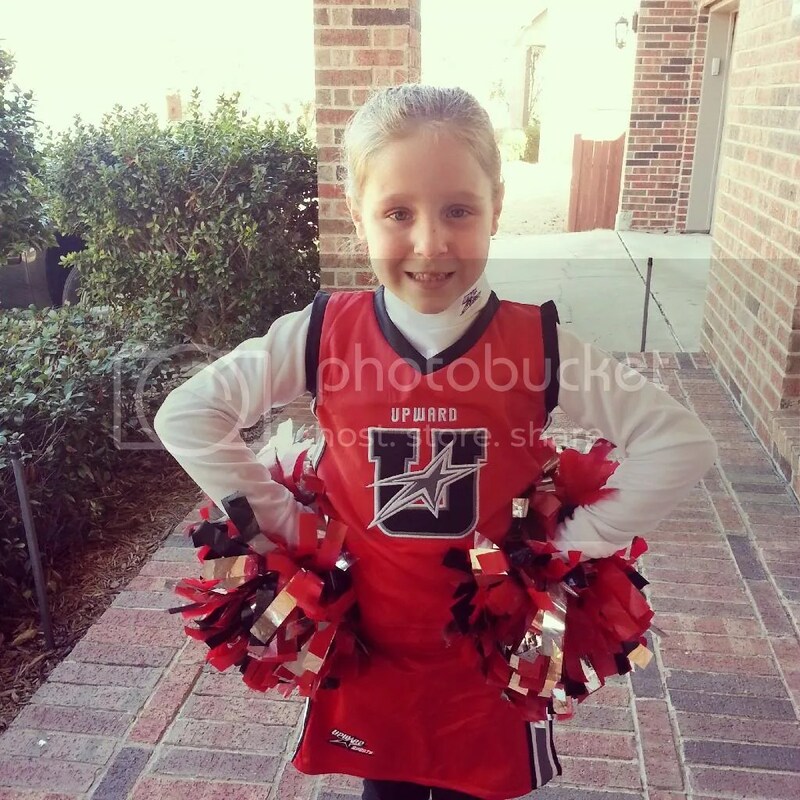 We decided to sign Kate up for Upward Cheerleading last Fall, thanks to my friend (who convinced me to help her coach) I am her squads assistant coach. We started practicing in November and our first game was in January. Kate has had a blast and I have enjoyed being a part of the team. All the girls on her squad are so sweet and they are a lot of fun! Ready for her first game. Cheering with the big girls during on of the games. 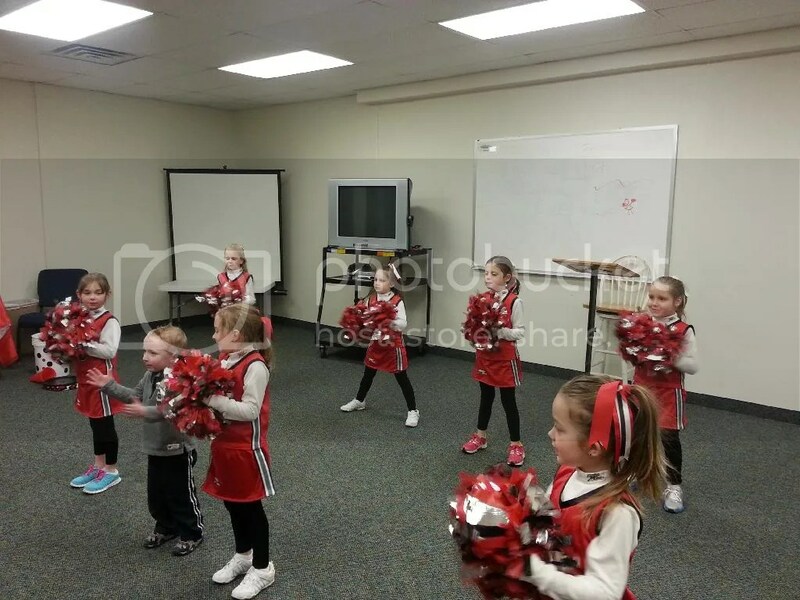 Not only do they learn cheers but they are also learning about God. We have a lesson every week to teach them different virtues (honesty, kindness, etc.) and they have to memorize bible verses. 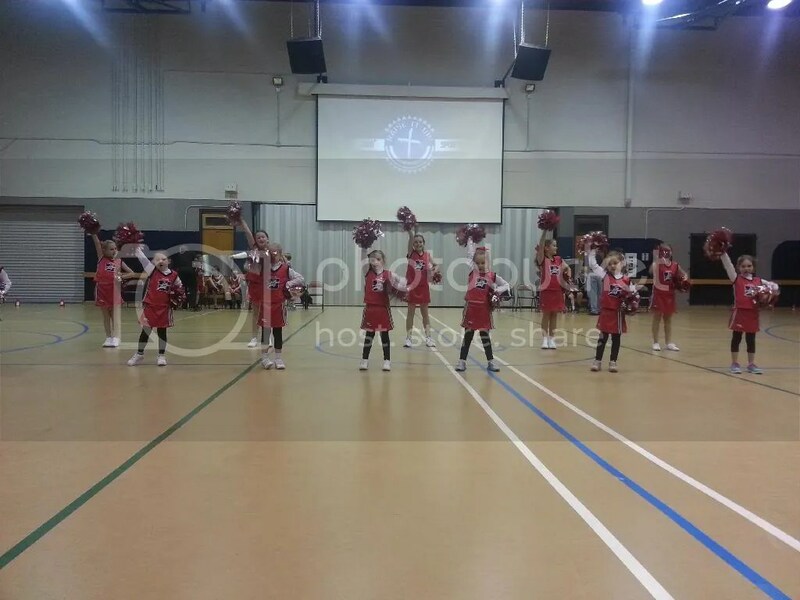 Upward is a great program for kids to be involved in!